BT is on the lookout for 15 young people in Leicester who are ready to kick-start their working life with a free work placement. BT is on the lookout for 15 young people in Nottingham who are ready to kick-start their working life with a free work placement. 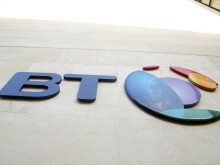 ​BT is creating 61 new apprenticeship and graduate jobs across the East Midlands as part of a new UK-wide drive to recruit the best tech talent available. ​BT has launched a competition for small and medium businesses in partnership with the Cabinet Office and TechHub to find the latest innovations to boost digital public services, defence and retail. BT is offering free work placements later this month to help young people in the Chesterfield, Mansfield and Worksop areas get ‘work ready’ and prepared for their future careers.